Open All Year... The Swissotel Berlin is situated in the heart of the city on the famous Kurfürstendamm in Berlin`s illustrious Shopping district. The legendary Café Kranzler is directly opposite the Hotel, while other well-known sites, including the Gedächtniskirche, Art Galleries and Museums as well as Europe`s largest department store - the KaDeWe - are nearby. The Swissotel Berlin is situated in the heart of the city on the famous Kurfürstendamm in Berlin’s illustrious Shopping district. The legendary Café Kranzler is directly opposite the Hotel, while other well-known sites, including the Gedächtniskirche, Art Galleries and Museums as well as Europe’s largest department store – the KaDeWe – are nearby. Berlin’s Main Airports Tempelhof and Tegel are situated less than 10 km from the Hotel. The proximity to the subway and Railway network guarantee excellent connections to important destinations including the City’s fairgrounds. 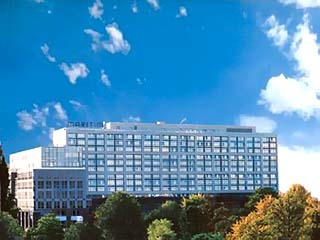 The Swissotel Berlin is a member of The Leading Hotels of the World. The Hotel consists of 316 elegantly appointed and spacious Rooms and Suites featuring state-of-the-art technology with exclusive amenities and services that cater to the needs of the discerning traveller. Two Executive Floors and an Executive Lounge provide additional luxury facilities and services. Smoking and Non-smoking Floors are available. The Swiss Business Advantage Rooms provide top-of-the-line technology and infrastructure for today’s business travellers without compromising comfort and design. They include High-speed Internet access, ISDN, Data ports at desk level, Daily newspaper, Voice mail and more. The generously appointed Executive Rooms are located on the uppermost floors and provide the complete line of business facilities available in Swiss Business Advantage Rooms. In addition to what one might expect from a luxury product, Executive Rooms offer a wide selection of unique services and amenities including Juvena beauty products and access to the Executive Lounge. Offering the ultimate in style and comfort, the Suites provide spacious Living areas and a full line of luxury amenities and services. Features range from cordless telephones to a Lavazza Espresso machine, from a line of Juvena beauty products to a B&O Sound System, including Television and CD Player. Natural fabrics and materials of the highest quality were used to further enhance the sophisticated design and urban elegance. The Swissotel Berlin offers lovers of fine dining and stylish ambience from around the world, the perfect setting to sample the unrivalled cuisine of the much acclaimed chef Anton Mosimann. Swiss-born Anton Mosimann is internationally renowned for his culinary career. In 1985, Anton created a new and healthy style of cooking – Cuisine Naturelle, a method which eschews the use of fats and alcohol. Anton is the official caterer to the British Royal Family and currently manages the Restaurant Club M at Swissotel London, The Howard. 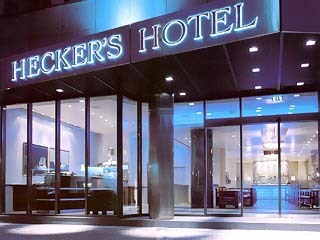 Restaurant: The restaurant at Swissotel Berlin has a capacity for 130 guests. It has been designed to render a contemporary feel and stylish ambiance. Elegant settings, choicest ingredients and Anton Mosimann’s creative and passionate approach to cooking, combine to offer guests an exquisite and unique dining experience. The restaurant is available exclusively to members and to residents of Swissotel Berlin as well as to members of ClubM at Swissotel London, The Howard. 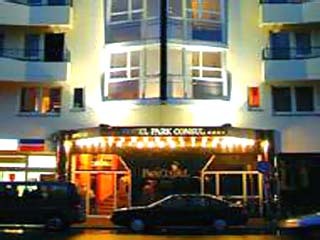 Memberships include use of the Executive lounge and fitness club at the Berlin property. 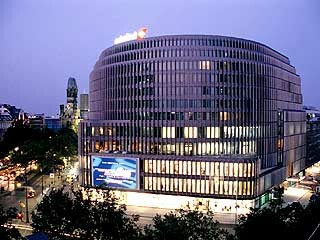 In addition, members at Swissotel Berlin have access to Club M, the Mosimann Restaurant at Swissotel London, The Howard. Private Dining Rooms: Mosimann’s culinary delights may also be experienced in one of the four exclusive private dining rooms at Swissotel Berlin. The Rooms have all been individually designed with internationally renowned luxury brands, standing for the highest quality and service. Executive Lounge: The Executive Lounge is located on the ninth floor and provides a distinguished ambience, a broad selection of services and amenities. The Lounge may be used by Hotel guests residing on the 9th and 10th floors, as well as by Mosimann Dining Club Members. Lobby Lounge & Bar: Both the Lobby Lounge and Bar located at lobby level and offer a wide variety of light snacks & beverages. 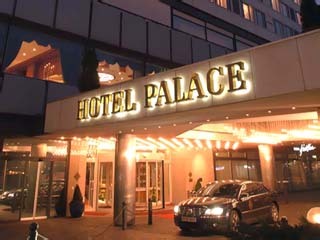 They are the ideal venues to meet or unwind from the rigors of the day.